Dear Elizabeth, Thank you for taking time to write a review of your recent stay at The Tuscany. We are happy that you found The Tuscany's oceanfront accommodations met and exceeded your standards. We love our "off-site" restaurant, The Cabana Cafe, next door at Ocean Club East Resort, and hope that you were able to enjoy their food as well. Thanks again for staying with us at The Tuscany! Gracias por una opinion incredible usted! La Toscana es un lugar maraviloso para desconectar del mundo y nos alegramos de que se haya podido relajarse en nuestro hermoso hotel boutique! Esperamos verle de nuevo el ano que viene! "Getting away from it all" pretty much sums up the way we feel about The Tuscany, too! We love having Cabana Cafe next door to us -- we consider it out "off-site" restaurant, then our guests get to come back to their peaceful and beautiful Tuscany "home". Our guests have loved really enjoyed using our "grocery shopping" service and we're glad that it was helpful to you and your family. We look forward to seeing you again this summer! Thanks again for such a nice review! El mejor servicio, la mejor ubicacion, definitivamente un paraiso! Ese precio es all inclusive x noche? Hi gus555201, Our nightly rates listed usually exclude taxes. Taxes in the Turks & Caicos are 10% service and 12% government. Feel free to call Shawna and/or Shaquell in our front office -- 1-855-359-6466. Hi Lara, Thanks for your question! We are not an all-inclusive resort -- we are, however, a "boutique resort" that consists of 30 oceanfront condos that are all three bedroom villas. You can rent our condos out as one, two, or three bedroom rentals, depending on your needs. Our condos are all 2,000 square feet in size, and have fully equipped kitchens with state of the art stainless steel appliances, granite countertops, etc. so it's like "being at home". There is a restaurant next door called Cabana Cafe on the Ocean Club East Resort property, and we refer to it as our "off-site" restaurant because it's so easy to walk to. They also offer beachside and poolside service to Tuscany guests. Hope this answers your question! If you would like to book at The Tuscany, feel free to call Shawna at 1-866-359-6466. Starting April 15th, we offer every fourth night and seventh nights free, and our rates drop to Summer Rates! We are looking for a family friendly place in Turks, ages 19 to 50 . Looking for a quiet yet clean resort with a great pool, beach and gym. We are very picky when it comes to luxury type rooms, air conditioning and really clean rooms. Looking to relax and spend time as a family. would this resort fit this description? 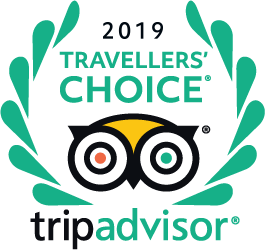 Hi SKCCP, Thanks so much for your question -- and I should thank all of those TripAdvisor reviewers who have stayed at The Tuscany and responded to your question! We would be delilghted for you to stay with us at The Tuscany! Each of the 30 condos are three bedroom/three ensuite bathrooms, offering that beautiful million dollar view of Grace Bay! We are located on the eastern end of Grace Bay, the more quiet end, with our sister resort on one side, then wide open beach for miles and miles of wonderful beach walks. To the west is Ocean Club East, thus starting all of the GB resorts -- so you are five minutes to anything you want to do on the island yet get to come home to your exclusive boutque resort setting. Cabana Cafe, the independently owned restaurant on the OCE resort property, is a short stroll from the Tuscany. Cabana Cafe offers beachside and poolside service to Tuscany guests as well as in-room dining. Like JimClem pointed out, our housekeeping staff come in daily, changing out towels, making beds, cleaning dishes, etc. They keep our condos in pristine condition and take a lot of pride in what they do! So, rest assured, you will have a very clean and well-appointed condo as well. Feel free to email the resort on the website or call the resort directly at 1-866-359-6466. Looking forward to hearing from you! Are all balcony’s screened? Is there no way to retract those screens? All of the Tuscany's oceanfront patios are screened in -- and for good reason! It's nice to have, especially with mosquitos! We have had several guests come to the Tuscany from staying at other GB resorts for that reason alone! Hope this is helpful! I enjoy swimming laps in the pool for exercise. Do the pools at the Tuscany accommodate swimming laps? Hi! The length of our pool is 70 feet. You can definitely swim laps in the pool but as one of the other contributors pointed out, there are gentle steps at one end of the pool and then the jacuzzi at the other end of the pool. That doesn't seem to stop guests from swimming laps! Hope this is helpful!